Gérard Araud was appointed ambassador of France to the United States in September 2014. 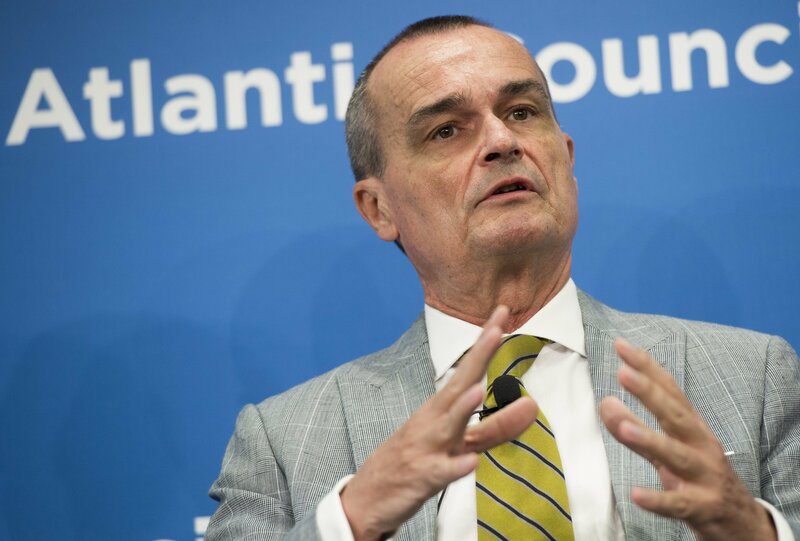 A career diplomat, his past positions include director for strategic affairs, security and disarmament (2000-2003) and permanent representative of France to the United Nations in New York (2009-2014). Araud served as the French negotiator on the Iranian nuclear file from 2006 to 2009. Araud spoke with Arms Control Today in his office at the Embassy of France in Washington, D.C., on May 20. 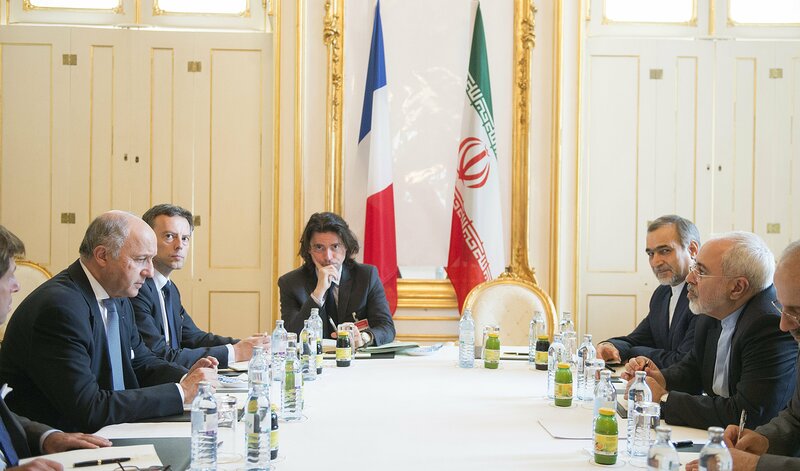 ACT: France has been involved in the nuclear negotiations with Iran far longer than the United States—over a decade. Why was achieving an agreement with Iran an important priority for France? Araud: First, the history is that, in 2002, I was assistant secretary for security affairs and disarmament in Paris and we had the idea of a letter from the three ministers.1 So it was a French idea. When I actually drafted the first letter, there was a choice about the terms in the letter about enrichment. We could say we are asking to suspend enrichment or to stop enrichment. If we had “to suspend enrichment,” the Russians were immediately on board, but the British were not. If we had “to stop enrichment,” the British were on board, but not the Russians. It was the choice to have the British on board rather than the Russians on board. In 2002 we discovered the program, and the letter was sent during the summer of 2003. Why? If we had the letter signed by France, Germany and Russia, it would have had absolutely no bearing in Washington, D.C. So the idea was to have the British as a sort of bridge toward the Americans, and I presented the letter to the Americans-—the American was John Bolton, the undersecretary at the time. The Americans told us that it was not a green light, but it was not a red light. So we sent the letter with sort of a yellow light coming from Washington, D.C., and on our side with the promise, the commitment, to [be] totally transparent. Because from the beginning, I knew that there would be an agreement only if the Americans were engaging in the negotiation. So that was the beginning of the story. Why negotiate? For us, the issue of Iran nuclear power was twofold. First, it was regional. We were convinced that Israel wouldn’t accept the prospect of a nuclear Iran, and that would lead to a military option, with all the political consequences of the region. Secondly, even without an Israeli military operation, it would mean the end of the nonproliferation system. The countries around North Korea—South Korea, Japan—were restrained enough not to follow the suit of North Korea and become nuclear, while, in the Middle East, such restraint was very unlikely. There was a strong risk that the neighbors of Iran would follow and become nuclear powers. That would have been the end of the nonproliferation system. ACT: What do you think it is about this current period, beginning in 2013, that led to a successful nuclear deal with Iran given this long history of negotiations? Araud: Actually, the negotiation started with the three European countries; and in 2003, there was suspension by the Iranians of their enrichment capability. But everything stopped in 2005 more or less with the election of [Iranian President Mahmoud] Ahmadinejad. When I was the French-designated negotiator between 2006 and 2009, I can tell you that there was no negotiation. It was not that our proposals were dismissed as insufficient; it was simply that the Iranians didn’t negotiate. They never entered into a substantial discussion of the terms of our proposals, and really, we tried several formulations, very different formulations. We went to Tehran, and nothing came out of it. It was really the feeling that the Iranians had not taken the decision to negotiate. Eventually they took it in 2013, and it means that the supreme leader made the decision first. I’m convinced—but it’s only a personal conviction, and I have nothing to base it on—that what we were looking at the moment when the regime has decided that the cost of the program was too expensive in terms of the survival of the regime. The sanctions were hurting very much, and the regime has decided at this moment to negotiate. ACT: Within the negotiations for the Joint Comprehensive Plan of Action, what do you think that France brought to the table to really help that process along? Araud: The fact is that we have, since we have been in the origin of the process, we have been very careful about keeping excellent teams of negotiators. We have been very careful about the choice of the people, about not losing the know-how between the negotiators during all these years, and I do believe that we were a very reliable team of negotiators. I heard several times people saying that, at some moment of the negotiation, really everybody was looking at the French team because we had invested a lot into this negotiation in terms of expertise. The second point was that we’ve always had a very consistent line. We have had, between 2003 and 2016, three presidents in France—three presidents of very different orientation. There was a Gaullist. After that, there was a more rightist and pro-American, and now you have a Social Democrat. We have always—these three presidents and the governments and the ministers, and there were more than three ministers—have always kept the same line. We have been extremely consistent in this negotiation. ACT: Speaking of presidential transitions, the presumptive Republican nominee for the U.S. presidency, Donald Trump, has said he would tear up the agreement, he would seek to renegotiate it. Are you concerned at all about the impact of U.S. elections on the continued success of the agreement? Araud: You know all the Republican candidates were saying that they would tear apart the agreement when they arrive in office. But you know it’s an electoral campaign, and if the candidates were doing everything they promised during the campaign, and that is in all the countries in the world and all the parties, it would be terrifying. So we keep cool, and we will see when it happens and if it happens. ACT: Iran, though, has expressed some frustrations about sanctions relief under the deal, saying that businesses and banks have been reluctant to do business with Iran. Do you see prospects for European companies returning? Do you think there’s more that the EU 3+32 could be doing? Araud: We are not in charge of the Iranian economy. But, nevertheless, when there is an agreement, there is a quid pro quo. The Iranian quid is the limitation of their program, and so far, they have implemented their part of the commitment. The quo is the lifting of the sanctions. But the lifting of the sanctions, it is not only an expression saying, “I lift the sanctions.” The sanctions have to be lifted, which means that the Iranians should first have access to frozen assets and secondly should be able to have a trade relationship with the rest of the world. The fact is—and it’s a fact—that because of the American secondary sanctions, the Iranians are saying that relief doesn’t happen. Actually, if you look—I don’t have the figures, but I think the proportion of the assets effectively de-frozen or released is really not that big. There is a lot of money, which is still frozen because since you can’t use the dollar, apparently it prevents a lot of financial operations. The fact is the banks don’t dare to go to Tehran. You can call it overcompliance on their side because, after having some trouble in New York City, they are still afraid to go there. The U.S. administration is aware of it and has said publicly that they will do their best. It’s not a question of helping the Iranians, it’s simply to give to our commitments, their whole significance. So the U.S. administration is trying to clarify the roles. The problem is your system of secondary sanctions is so complicated that even the U.S. administration has some problems really to understand it. ACT: So aside from this question of sanctions, do you see any other challenges that the agreement could face in the coming years? Araud: It’s such a complicated agreement—159 pages. When you enter an arms control agreement, you can’t foresee everything or every problem. So it’s obvious that we will have every six months a different interpretation between the Iranians and us, maybe between us and the Russians and the Chinese, of the different points. The Iranians, of course, will try to drag the agreement toward their interests, and we will do the opposite. So there will be disagreements down the road, and that’s the reason why we have created this committee, which will be in charge of trying to solve these disagreements.3 But disagreements are not unusual. When the Americans have an arms control agreement with the Russians, or with the Soviets at the time, there were also these bumps on the road. ACT: On the U.S. side, one of the areas that members of Congress in particular have voiced concern about is Iran’s continued ballistic missile testing. The UN Security Council resolution endorsing the deal softens the language on missile tests. Under the new resolution, Iran is “called upon” not to undertake any activity on ballistic missiles that are designed to be nuclear capable. Since the resolution came into effect in January, Iran has continued to test missiles. Are you concerned about the continued missile testing in Iran? Araud: Our choice was to limit the negotiations to the nuclear issue and not to go beyond that. We consider that the nuclear issue in itself should be really the only topic of the negotiation, considering the seriousness of the issue and also considering that it was certainly in a sense the only issue where the P5+1 would agree.4 So it’s on the nuclear issue. The second point is, and I said it publicly, I was expecting the Iranians to harden their position on the other issues after this nuclear deal, in a sense to show or to send a message that they have not caved in front of the West, which is a message toward the outside world but also toward the Iranian public opinion, which is dreaming of seeing the end of the revolution. So I guess what we see now as provocations, unfortunately, were more or less expected. On the French side, we have always been in favor of reacting strongly against missile testing in the Security Council, but I think you know the Russians and the Chinese have opposed it. We have said that we have expressed our concern about the missile testing, and we would be willing to go to the Security Council if necessary. ACT: Do you think there are any particular steps that countries, like the United States and France, could take to stem Iran’s continued ballistic missile development? Araud: You have the regimes, [Missile Technology Control Regime] and so on, that we have to implement. We have to work with the usual suspects and implement the regimes and controls. ACT: What do you think that reaching this agreement with Iran means for strengthening nonproliferation norms writ large? Are there areas of the deal that you think the international nonproliferation regime could build off of? ACT: Are you concerned, though, that other countries, particularly in the region, might choose to pursue enrichment, given that Iran has maintained its capacity? Araud: Of course. There is the risk because some people can argue that we have created a special status, a sort of new status for Iran. After the agreement, there were some neighbors saying, “Oh, you know we would want the same capabilities.” For the moment, we have not seen any step into this direction. But of course, we have to be vigilant, considering the tensions in this part of the world. I do remember when I was in Paris, I was interviewed by our parliament hearing committee on foreign affairs and the chairman of the committee told me, “The nonproliferation system is broken, it’s over.” Actually, when I was assistant secretary now 15 years ago, there were two problems, which were North Korea and Iran. Fifteen years later, there are two problems: North Korea and Iran. When I was a student, people were saying, “In 2000 the list of the nuclear powers will be Argentina, Brazil,” and so on, and it’s not the case. So in a sense, the nonproliferation system has quite resisted this, and it has been a success. So we have to be vigilant, especially in terms of enrichment. But now that we have this deal with the Iranians, maybe we could come back to working on it. ACT: Speaking to the weaponization concerns, the concern over nuclear-tipped ballistic missiles in Iran was a primary driver for deploying U.S. missile defense in Europe. Since that threat has been mitigated by the Iran deal, do you think the plans for keeping Aegis Ashore should be adjusted? Araud: That’s a difficult issue because the American administrations have been very insistent on launching this program, keeping this program, and the debate has been raging in NATO for the last 20 years. The Russians have been through the ceiling on this issue. I think eventually we are going to declare the NATO system as operational.6 But my personal opinion would be that what we have done is enough. It’s not really necessary to dedicate so many resources in a situation where we don’t have a lot of resources for such a system for a very hypothetical threat. For the French, the starting point is evaluation of the threat, and this is something we should re-evaluate regularly. Given the latest assessment of this threat, heads of state and government decided to move forward with this missile defense, but that doesn’t prevent re-evaluating now or in a few years what is the state of this threat. That’s actually something we, France, would be keen to doing because missile defense is not something we should do out of the blue and not just for itself. It’s to protect us against a threat, and it’s just common sense to link it to the re-evaluation of the threat. That is one of the elements we are looking at. There are also few elements which we look at and we said publicly when we agreed to missile defense, for example, the fact that the cost of missile defense should not go overboard. Another element is that, in NATO, missile defense, on a basis of common control, is owned and operated by NATO. These are elements which are important for us in assessing the progress of the missile defense. There are a few other ones, but those are the important ones. ACT: On that note, France recently withheld its approval from NATO taking control, command and control, of the European missile defense system. Araud: The problem that we have, and I’m sure it will be solved before the next summit, is we want to have a real, robust NATO command-and-control chain. For obvious political reasons, the Americans want to declare the system operational at the next summit. From the French side, we want to be sure the [command-and-control] system is robust enough. So again, it’s really not a substantial problem. I’m quite sure that it will be solved. There is an evaluation going on right now actually in NATO on whether the system is sufficient or not. We are in that phase where we see whether or not it is sufficient to declare the system operational at the Warsaw summit. So we are in this phase where we are looking at it, [being] more careful about being sure it’s sufficient, but we are looking at the info right now that NATO is giving us in the next few weeks. ACT: Recently in certain disarmament fora, including last year’s [nuclear] Nonproliferation Treaty (NPT) review conference, the five nuclear-weapon states received some criticism for not fulfilling their Article VI disarmament commitments from the NPT review conference in 2010. What does France think could be done to accelerate the progress on disarmament? Araud: I think that if the U.S. and Russia were decreasing dramatically their systems, it will really be very important and very critical. This has been an ongoing criticism for a long time. We do consider on our side, and if you look at the figures, that we have made significant progress in terms of disarmament. We have given up the tactical weapons. We have also made [a] declaration of transparency.7 We have been more transparent in these terms, and we do consider that our systems are very much smaller than the Russians’ and the Americans’. Before talking to us, you have to talk to the Russians and the Americans. ACT: Is there anything that you think that France could do to encourage the United States and Russia to take further steps? Araud: The [fissile material cutoff treaty] FMCT and the [Comprehensive Test Ban Treaty] CTBT are the two main elements we are trying to promote in the international arena, given that it’s very difficult, but we still try to push for it. ACT: Are there any particular steps related to either of those treaties that you are hoping to promote or move forward on? Araud: There is going to be, in a few weeks, the 20th anniversary of the CTBT. We would like to use this opportunity to promote the CTBT a bit more. For the FMCT, we proposed a draft some time ago, and we are trying to make concrete proposals to promote these treaties. But it’s a slow process. It is a gradual step by step process to go forward. ACT: In the United Kingdom, there’s a debate about the salience of its nuclear weapons program and its deterrent. What is France’s view on the UK eliminating its nuclear weapons arsenal, and would that have an impact on France as a sole possessor of nuclear weapons in Europe? Araud: No, it wouldn’t have an impact on France. 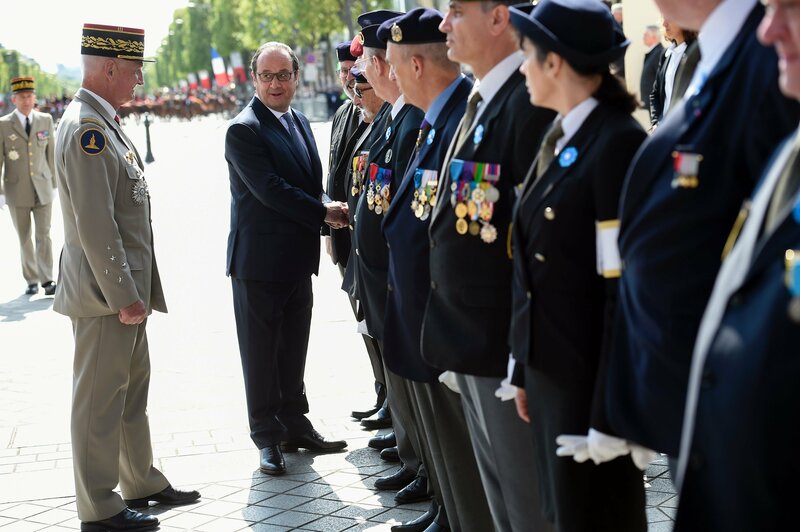 Very often, people don’t understand why France is so much committed to nuclear deterrence. They do believe it’s sort of out of glory. The fact is that, in 1940, when the Germans invaded our country, we were alone. The Americans were not here, and the British were not really here either—they had sent 10 divisions to France. France nearly disappeared. So we have drawn [a] very clear lesson that, to survive, you are alone. So we need nuclear deterrence. After this horrendous period for us, when our country nearly disappeared, it has become a sort of ingrained conviction that you are alone to defend your existence. That’s part of our very particular experience that people don’t understand. It’s not because we love nuclear weapons. It’s simply that now the genie is out of the bottle. Nuclear disarmament is difficult because if we get rid of the nuclear weapons you know Kim Jong Un or somebody else may still have the nuclear weapons. What will happen? He will be the master of the world. It’s impossible to reach universal nuclear disarmament. What we are trying to do is to limit the numbers of the nuclear-weapon states. Of course it’s unfair for the states which are not. As for the United Kingdom, I would bet everything you want that they won’t get rid of their nuclear weapons. There is a debate, but a debate we don’t have so much in France. Of course there is a fringe left which is in favor of it. But there is not a debate like the British have every decade. The British, maybe there could be debate about modernization, whether you need to modernize or not to modernize, considering the threat. That could be a debate. But on having the weapons, I really don’t see. Compared to the Americans, we Europeans know that history is a tragedy. 1. Iran’s heavy-water production plant at Arak and its centrifuge plant at Natanz were revealed to the international community in 2002. The first three countries to engage with Iran on the question of uranium enrichment were France, Germany, and the United Kingdom. 2. The EU 3+3 refers to the three EU countries—France, Germany, and the United Kingdom—plus China, Russia, and the United States, that were engaged in talks with Iran on its nuclear program. 3. The Joint Comprehensive Plan of Action established the Joint Commission as a mechanism for resolving disputes. 4. P5+1 refers to the five permanent members of the UN Security Council (China, France, Russia, the UK, and the United States) plus Germany. 5. See Tariq Rauf, “From ‘Atoms for Peace’ to an IAEA Nuclear Fuel Bank,” Arms Control Today, October 2015. 6. In April 2016, the United States declared the ballistic missile interceptor it built to be operational in Romania and a second site in Poland to be under construction. NATO claims this system is intended to protect against the ballistic missile threat from Iran while Russia claims it is an attempt to undermine Russia’s nuclear deterrent. For more information, see Kingston Reif, “Romania Missile Defense Site Activated,” Arms Control Today, June 2016. 7. In 2006, France passed the Nuclear Transparency and Security Law. In 2008, under French President Nicolas Sarkozy, France became the first nuclear-weapon state to publicly reveal the size of its nuclear arsenal. For more information, see Bill Richardson et al., “Universal Transparency: A Goal for the U.S. at the 2012 Nuclear Security Summit,” Arms Control Today, January 2011.